Experience the beauty of Southeast Alaska by cruising with Holland America out of Vancouver, B.C., Canada. 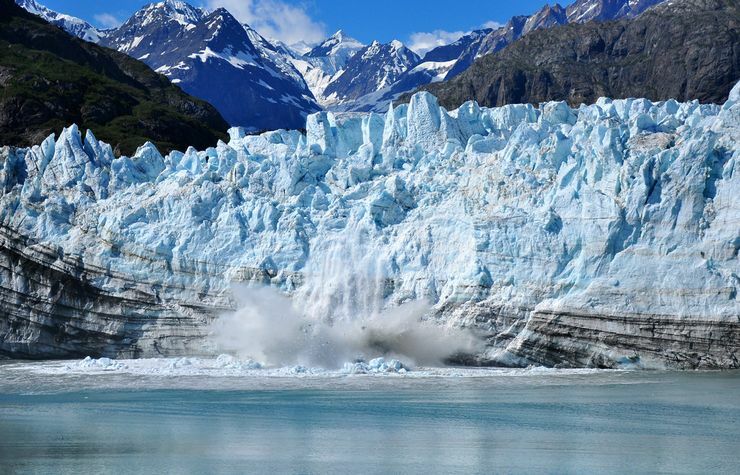 You’ll see the quaint, historic towns of Ketchikan, Juneau, and Skagway and the breathtaking beauty of Glacier Bay. After disembarking from the ship, you’ll travel by railroad to Anchorage for a week’s stay where you’ll learn even more about Alaska—from a wildlife conservation center visit to experiencing the Alaska Native Heritage Center. During the cruise and in Anchorage, you'll have a total of six days of workshops with Sabine--an incredible opportunity! While the cruise is underway, Sabine will teach her Master Class on designing geometric spheres. In Anchorage, Sabine will teach three more workshops at which you will be joined by other Anchorage area students. Day One. Sunday, June 7. Set Sail from Vancouver, British Columbia. Today the Beadventure will get underway on Holland America’s ms Westerdam. You’ll board the ship in early afternoon and set sail at 4:30 p.m. You’ll get settled in our cabins, meet up on the ship, and enjoy dinner together. Day Two. Monday, June 8. Cruising Alaska’s Inside Passage and Workshop. 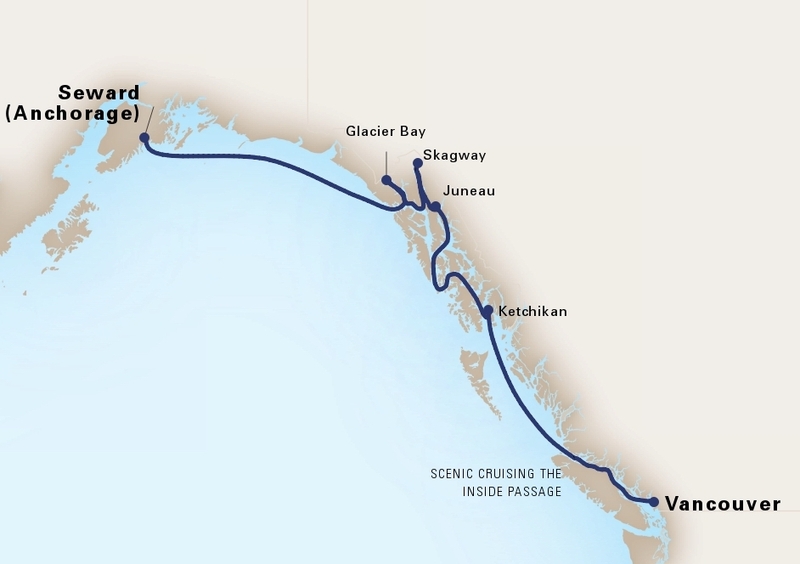 Today you’ll cruise Alaska’s Inside Passage, which is a protected network of waterways that wind through glacier-cut fjords and lush temperate rain forests along the rugged coast of Southeast Alaska. Arguably one of the greatest cruising routes in the world, the Inside Passage stretches through stunning landscapes, from Misty Fjords National Monument to famed Glacier Bay National Park & Preserve. During the day we’ll have our first workshop with Sabine (we’ll find a location on deck by which you’ll be able to still enjoy the incredible scenery!). Meals Included: All aboard ship. Day Three. Tuesday, June 9. Alaska’s “First City” – Ketchikan. The ship will arrive at 7 a.m. and depart at 3 p.m. Alaska’s “First City” of Ketchikan is so named because it’s the first major landfall for most cruisers as they enter the picturesque fjords of the Inside Passage, where the town clings to the banks of the Tongass Narrows, flanked by green forests nurtured by abundant rain. Ketchikan has long been an important hub of the salmon-fishing and -packing industries. It also is one of the best spots along the Inside Passage to explore the rich cultural sights of Native Alaskan nations like the Tlingit, Haida, and Tsimshian. You can see intricately carved totem poles at the Totem Heritage Center and Totem Bight State Park, while the attractions of Saxman Village just outside of Ketchikan offers the chance to see Tlingit culture in action, with working carvers and a dance show in the clan house. 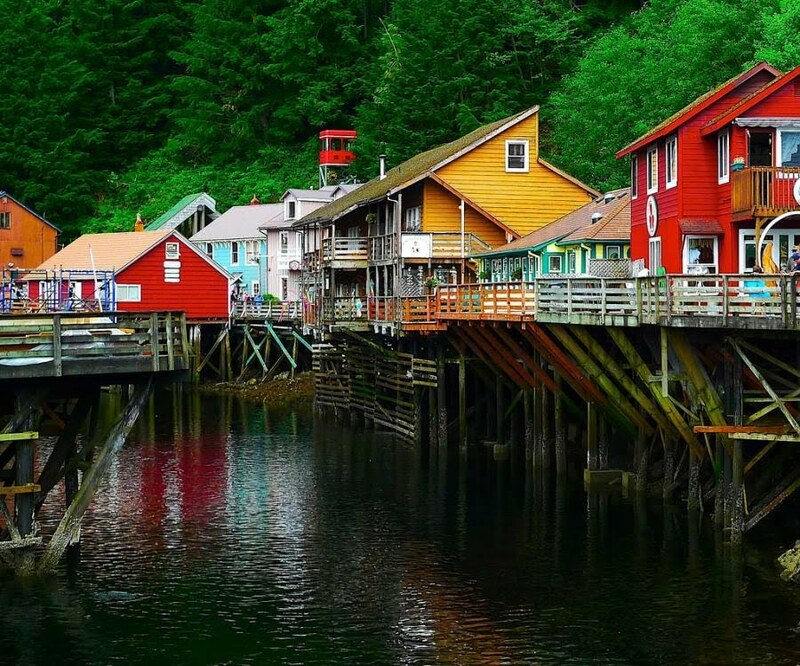 And leave time to explore the sights in the town itself, including historic Creek Street, a boardwalk built over the Ketchikan Creek, where you can shop for souvenirs, smoked salmon and local art, while exploring gold rush­–era tourist attractions like Dolly’s House Museum. Day Four. Wednesday, June 10. Juneau, Alaska’s Capital. Today you’ll arrive at 10 a.m. and depart at 10 p.m. Juneau may well be the most remote, most beautiful, and strangest state capital in the United States. Surrounded by water, forest and mountain sights, this sleepy, misty city of around 32,000—mostly fishermen, small-business owners, and state government workers—has a frontier town vibe but welcomes more than a million visitors each summer. 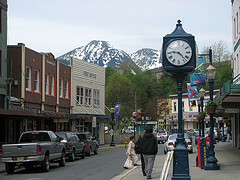 You’ll be able to visit the quaint stores along South Franklin Street and downtown Juneau or checkout some wildlife. You can hike up Mount Roberts to chance upon wild deer and bald eagles or take sightseeing and whale-watching tours by heading north to Auke Bay. Day 5. Thursday, June 11. Skagway. Today you’ll arrive at 7 a.m.; depart at 9 p.m. At the height of the Klondike Gold Rush, the port town of Skagway served as the primary gateway to the legendary gold fields, and quickly grew into Alaska’s largest settlement. It was then a raucous frontier hub packed with trading posts, saloons and guesthouses. As the gold rush faded into the 1900s, so did Skagway—but today it has been reinvigorated as a gateway for a new kind of visitor: those looking to explore Alaska’s colorful history, pristine wildlife and unrivaled natural beauty. 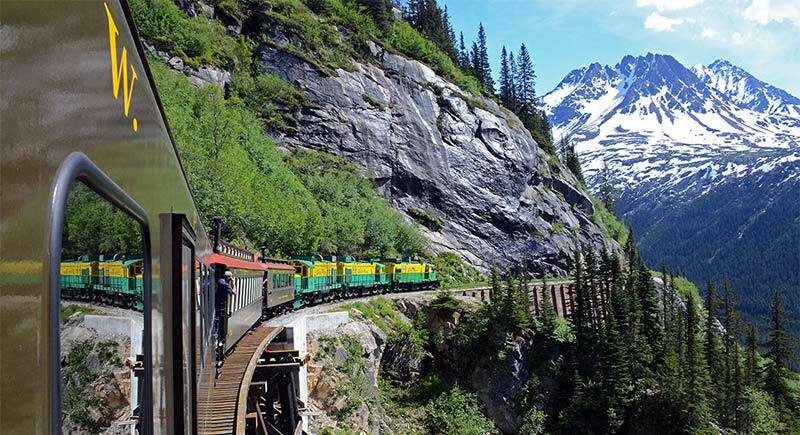 At every turn, you’ll find yourself immersed in gold rush lore, from the infamous Red Onion Saloon that still keeps a pistol that Wyatt Earp left behind en route to the Klondike, to the White Pass & Yukon Route Railroad, a classic narrow-gauge railway that traverses rugged mountains and passes cascading waterfalls and towering glaciers as it connects Skagway to Whitehorse deep in the Yukon. Much of the town has been preserved as part of the Klondike Gold Rush National Historical Park, where rangers offer free walking tours around the historic district. Here you’ll also find a vibrant local community, home to a rich collection of local galleries, curio shops, and restaurants serving seafood plucked fresh from nearby waters. Day 6. Friday, June 12. Breath-taking Glacier Bay and Workshop. Frosted crags descend into mossy forests and a 457-meter-deep (1,500-foot-deep) fjord at this World Heritage Site, which also is one of the planet’s largest biosphere reserves. Stone, ice and water continue to collide, sculpting a dramatic landscape that is the crown jewel of southeastern Alaska’s natural wonders. While the national park is open year-round, most travelers prefer the warmth of late May to early September. Even in summer, be prepared for any weather—especially rain! Pack a hat, gloves, wool or fleece layers, a warm coat and waterproof gear if you want to admire the landscape from the open deck of your ship. A day aboard the ship also is another opportunity for day two of our workshop with Sabine. Day 7. Saturday, June 13. At Sea and Workshop. 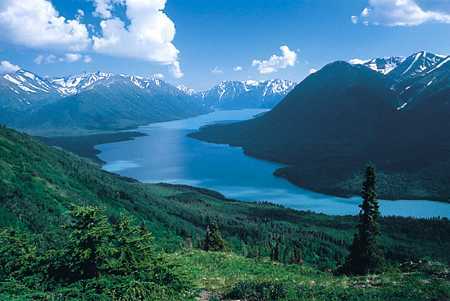 Today we will be at sea as we head north to Seward and have our final workshop with Sabine. Day 8. Sunday, June 14. Disembark Ship; travel to Anchorage. The ship will arrive in Seward early in the morning. 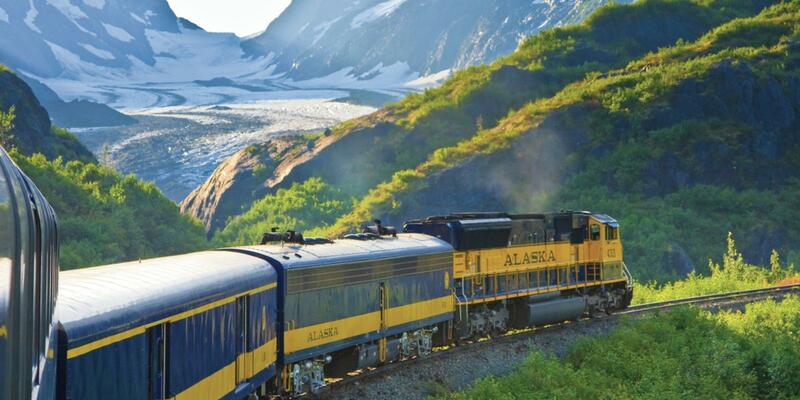 We will travel via the Alaska Railroad for the 125-mile trip to Anchorage, Alaska’s largest city, which will be our home for the next week. We’ll check-in at our hotel. The afternoon will be free and we’ll gather in early evening for a “welcome to Anchorage” dinner. Day 9. Monday, June 15. Free Day to Explore Anchorage. Today is free for you to get your bearings in Alaska’s largest city. There’s a lot to see and do (check out www.tripadvisor.com or www.viator.com for some ideas). Anchorage also has two bead stores and your tour leader will be glad to coordinate a visit for those that would like to go. Day 10. Tuesday, June 16. Alaska Wildlife Conservation Center. Start the day with a relaxed morning. At mid-day we will head out on our 3.5-hour tour to the Alaska Wildlife Conservation Center (AWCC), a privately-owned nonprofit organization that rescues orphaned and injured animals. 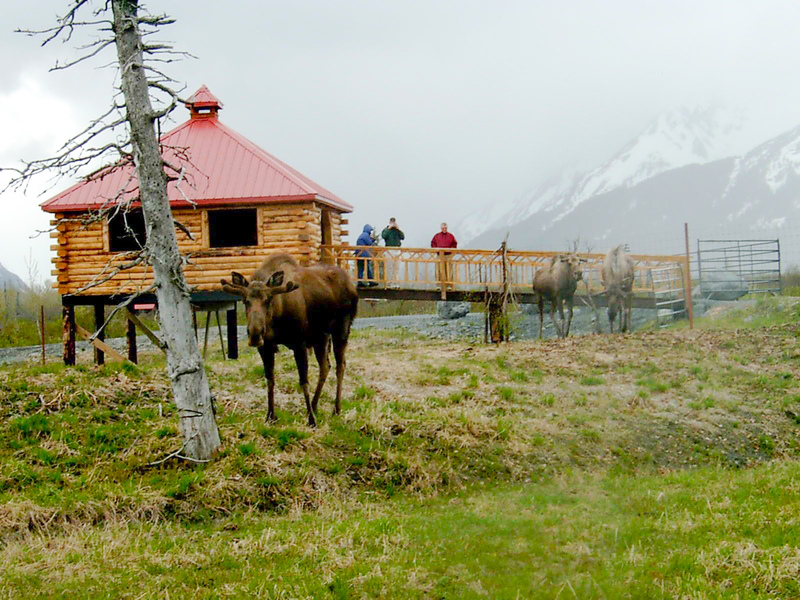 Here you will be able to get up-close to bears, elk, and caribou on an educational tour of the rehabilitation center. We’ll go rain-or-shine, so remember to pack your rain gear, as well as sun glasses! Day 11. Wednesday, June 17. Learning About Alaska’s Art and Culture. Today we’ll visit the Anchorage Museum where we’ll have a private tour to learn about Alaska’s cultural heritage and native art. 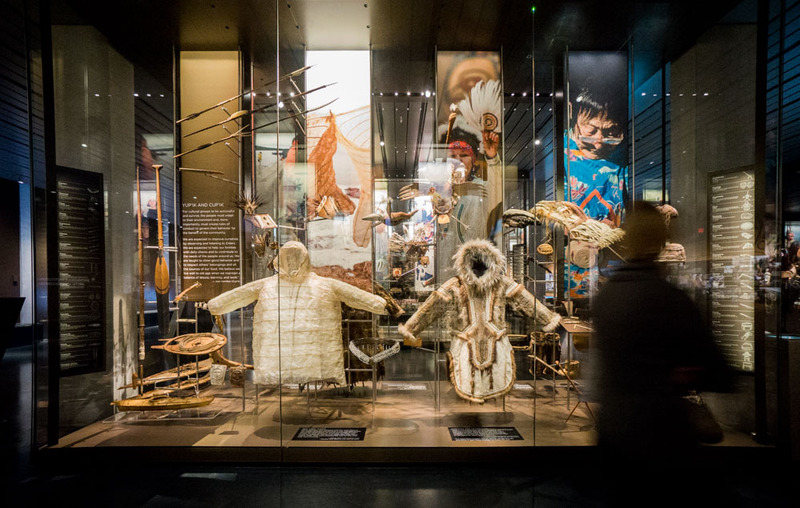 We’ll also travel via shuttle to the Alaska Native Heritage Center where we’ll continue to learn about Alaska Native traditions and customs of both the past and present. The Welcome House is a celebration of contemporary Alaska Native cultures while the Center’s outdoor facilities and sites explore ancient traditions. The evening is free. Day 12 & 13. Thursday & Friday, June 18 & 19. Free Time Plus Workshops with Sabine. 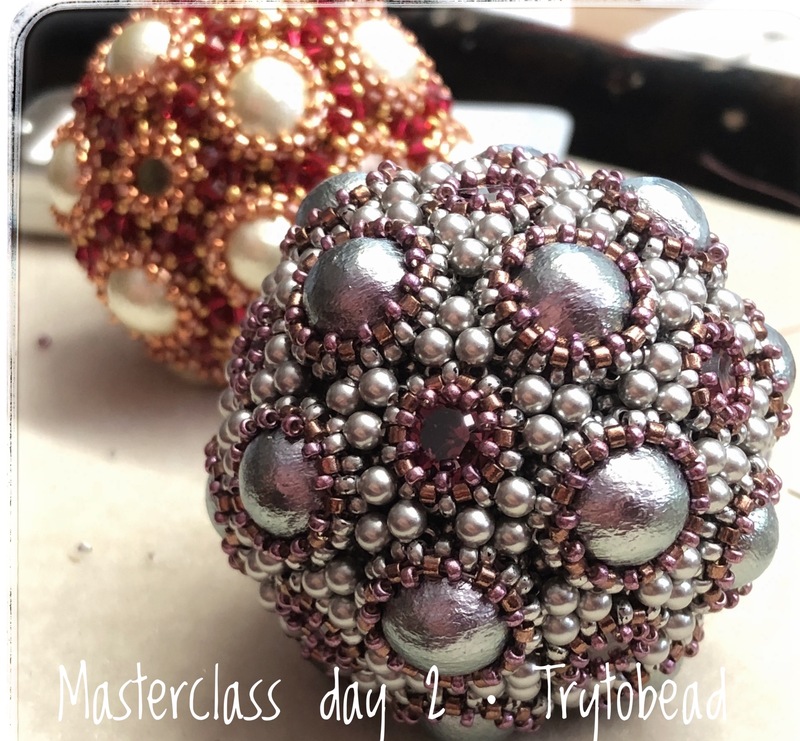 Our first Anchorage-based workshop with Sabine will be over these two evenings (from 5:30 to 8:30 p.m. each night) at which we also will be joined by other Anchorage/Alaska beaders. The daytime is free each day for you to explore as you like. Day 14 & 15. Saturday & Sunday, June 20 & 21. Workshops with Sabine. We will have two more classes on the weekend with Sabine. Each will go from 10 a.m. to 5 p.m. We’ll break for lunch (not included). In the evening we’ll have our “almost farewell dinner” together. Sunday also is summer solstice—the longest day of daylight of the year—so they’ll be plenty of other activities going on after class/after dinner! Meals Included: Breakfast each day, dinner Saturday evening. Day 16. Monday, June 22. Departure. All good things much come to an end. Today you’ll depart for home from Anchorage. Sabine describes the class she will teach aboard the ship: “For a long time this idea was growing in my head and finally it came true! I wanted to find a system that allows you to create every possible and impossible geometric solid structures; a system based on simple structures that allows endless variations. In this three-day master class, we will start with simple structures. On day one we will build one component to learn the basic technique. On day 2 we will start making spheres consisting of two different components; and on day three, we will make a sphere consisting of three shapes. In addition, you will learn how to use these components in "normal" jewelry and learn ways in which to build "bricks" to create your own designs and spheres. These photographs are examples of some spheres and how they can be used in jewelry.” Students need to be proficient in peyote and right-angle weave stitches (Sabine will not be teaching the stitches as part of the class). Sabine's Workshops in Anchorage . . .
Sabine will teach three workshops while the group is in Anchorage, at which you will be joined by some other Alaska beaders. Information about the projects will be available in late 2019 so check back for details. Sabine writes . 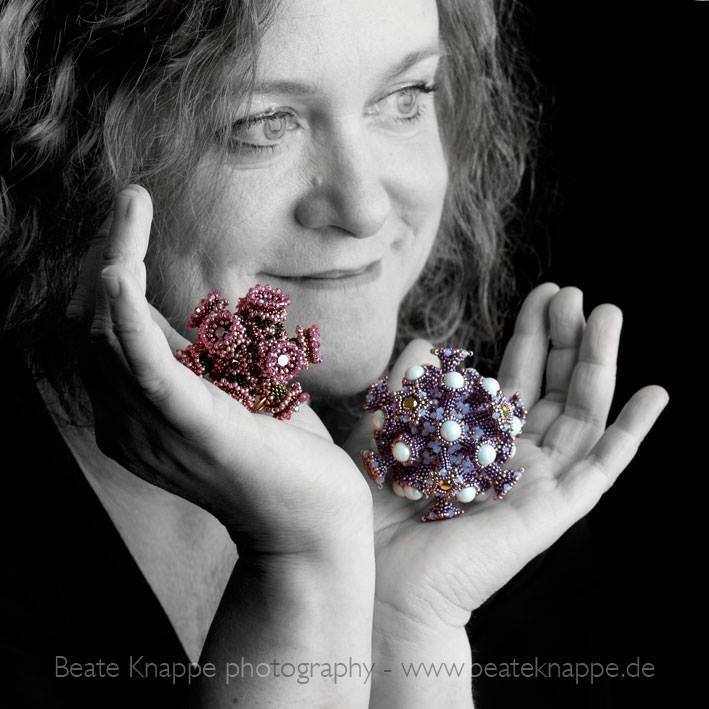 . .
“Since October 2011, my passion has become my profession as self-employed bead artist! Sabine is an incredible, imaginative, prolific beader. You can learn about her work at Try to Bead. 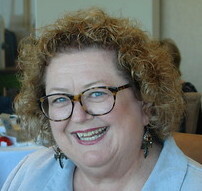 In January 2009 Cheryl Frasca of Anchorage, Alaska took over owenership of Beadventures from Cheryl Cobern-Browne, who now spends more time at the wonderful retreat center that she built in Ireland. Cheryl F. had been on several Beadventures, prior to her taking over the company. She serves as tour leader for Beadventures to her home state of Alaska. The fun of these experiences--and the great friends she has made--is what convinced Cheryl F. to take on Beadventures. Cheryl has been beading since the late 1990s. While she occasionally dabbled in fiber and other mediums, seed beads are her favorite--especially free form bead embroidery. She retired from public service in 2012 after 30+ years working for elected officials on Alaska budget/fiscal policy. She continues to do consulting and volunteer work so she can maintain "flexibility of schedule" that allows her to travel here and there! Alaska's weather can be fickle so be prepared for rain showers or sun-filled days! Remember to Bring . . .
For the beading workshops, bring your customary bead supplies (beading mat, needles, thread, magnification; if you need a task light, it must be battery powered for the workshop aboard ship). To help protect the investment you are making in your planned travel, you are strongly encouraged to purchase trip insurance. Beadventures recommends TravelEx Insurance Services; click here for more information about its policies.